Estate Fruit Harvested for the First Time! 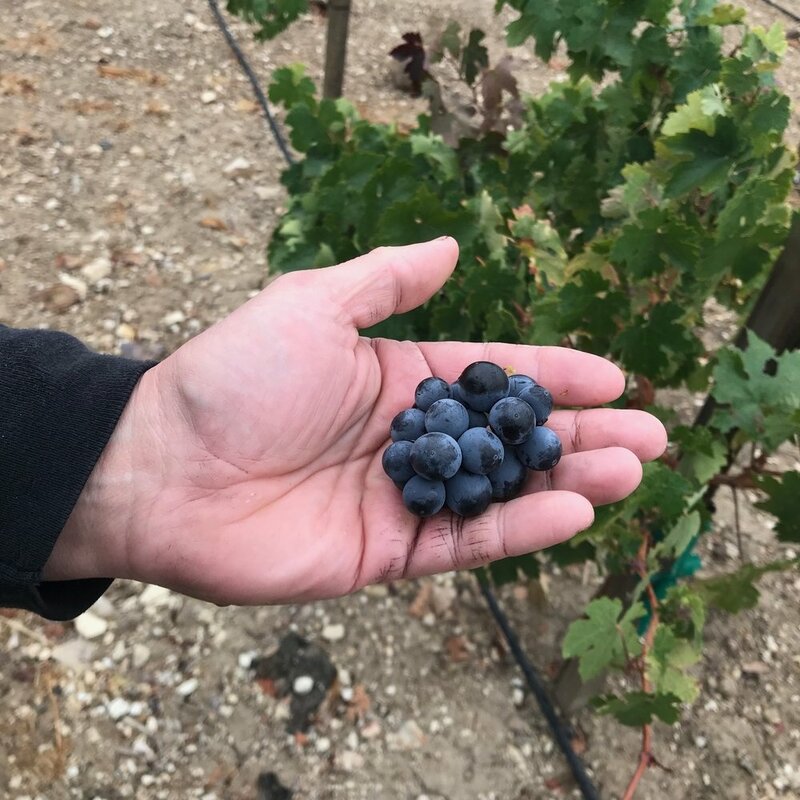 We harvested our estate Zinfandel vineyard for the first time a few days ago. Unfortunately, the yield was a bit small this year. As you can see above, these second leaf vines gave us only one beautifully ripe second crop cluster. I ended up tossing the grapes in with one of our Grenache fermentations as eighteen berries do not add up to much wine. We dropped a large amount of unripe fruit so the vines could concentrate their energies on maturing the overall plant. Looking forward to next year and am expecting around a half ton of grapes from our home vineyard. We kicked off the 2014 harvest yesterday bringing in our first white grapes of the season. Gorgeous Viognier from the Templeton Gap area of Paso Robles. We whole cluster pressed the grapes and the juice will settle for a bit longer before going to barrel. This year we are using neutral French oak barrels for our fermentation. Looks like we will continue next week with more incredible Viognier from Westside Paso right at the beginning of September. As the whole process moves forward we will keep you updated here, on Twitter, and Facebook.